In the central section of the Portuguese coastline, intense reflections on the water lend their name to this happy destination: Costa de Prata (Silver Coast). The curative springs and the lush vegetation of secular forests have preserved all the rewards of their unspoilt nature. The monasteries, convents, castles, churches, and museums witness the priceless historic and artistic heritage of renowned universal value. As one of the most economically developed regions in the country, Costa de Prata is also home for famous traditional art treasures, such as its porcelain and crystal, as well as its gastronomy, strongly influenced by the sea and counterbalanced by its tasty Bairrada wines and mouth-watering sweets. In the fishing villages or urban historic centres, the kindness of the people is but another asset to add to this bountiful area's vast list of qualities. Águeda - This area was inhabited since very ancient times, as is confirmed by several megalithic monuments and by evidence of the Roman occupation (one of the sites to visit is the Archaeological Site of Cabeço do Vouga, near Trofa). 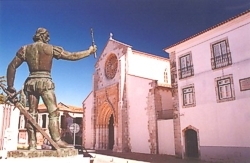 It is worth visiting the Church of St. Eulalia (the patron saint of this small city), with a rich interior decoration and Renaissance sculptures, the old streets of the riverside quarters, and also the region´s ancient estates and manor-houses (such as the Quinta de Alta Vila and the Quinta da Agueira). Alcobaça- Monumental Cistercian Abbey of Santa Maria, founded in 1152 (classified in UNESCO's International Heritage list). Inside: Gothic tombs of King Pedro I and Inês de Castro; cloisters; the Chapter House and immense kitchen. Churches: Misericórida (Renaissance portal and 17th century tiles) and Conceição (17th century). Almeida - An extremely well preserved border town, Almeida is remarkable for its formidable defences in the shape of a twelve-pointed star. In 1810, during the French invasion, an explosion in the powder-magazine destroyed the keep and opened great breaches in the walls. Today, it is possible to visit the casamatas, the undergound soldiers´ barracks, and also an armory with artifacts recalling Almeida´s military past. Arganil - Exhibits the Church of São Gens, probably dating from the 14th century, and in the sanctuary of Monte Alto ("High Hill", about 2 km or one mile away), the chapel of Senhor da Ladeira lodges a curious Christ Cild figure, fully dressed and with a bicorne hat. 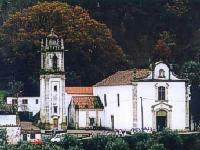 Arouca - the main attraction of the town of Arouca, lying in a green valley, is the great Mosteiro de Arouca. The old monastery, more than one thousand years old, seems to remain indifferent to time and still dominates this quiet town. Guided tours take visitors to the church and museum, with wonderful silver monstances, furniture and religious works of art, and specially the silver and ebony casket with the effigy of the princess and its own altar. Batalha - Portuguese Gothic masterpiece and classified in UNESCO's International Heritage list, the Santa Maria da Vitória Monastery (14th-16th centuries) is a national landmark. Special mention must be made to the Founders' Chapel, with its magnificent stain-glassed windows, cloisters, Unfinished Chapels (Manueline) and Chapter Hall. Castelo Branco - White Castle - rises on the slope of a hill that dominates a plateau region; thus its historical function as a defensive fortress which is confirmed by the castle, from where one can view a panorama that stretches until the frontier and the slopes of Gardunha, overlooking the upper course of the river Tagus. 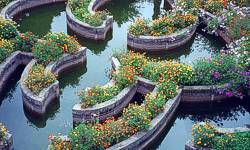 the city´s main attraction is the extraordinary Jardim do Paço (Bishop´s Palace gardens), created in the 18th century by bishop João de Mendonça. Celorico da Beira - Standing on a hill which commands a vast panorama, Celorico da Beira is surrounded by pastures which have been a source of the finest Portuguese cheese, the Serra, named after the "Star Mountain". The town´s streets, flanked by granite houses with Gothic doors and Manueline windows, gargoyles or brackets jutting out of the walls also speak of this impressive past. The Mother Church, restored in the 18th century, exhibits a painted coffered ceiling. Coimbra - One of Europe's oldest university towns, it has kept its secular academic traditions, as seen in the black caped students, in the soulful tones of the fado and in the Burning of the Ribbons (Queima das Fitas). Overlooking the city is the University, with its famous tower and a sumptuous Baroque library. In the adjacent quarters you will find the Old Cathedral (Romanesque) and the Machado de Castro Museum, with its Roman cryptoportico. In the ancient streets, with their medieval walls, arches and stairways, are the Santa Cruz Monastery (founded in 1131), the Church of Santiago and the Monastery of Celas (13th century). 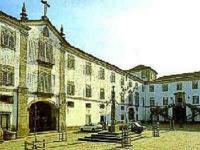 On the other bank of the Mondego stands the Santa Clara-a-Nova Convent (Baroque, 17th century). 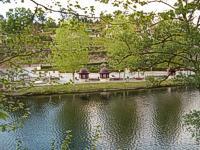 Curia - Curia owes it existence to the healing properties of its famous mineral waters. As way back as the Roman times the quality of its water was known, and for them Curia was Aquae Curiva  the healing water. Today, the Curia waters are still famous, but Curia is now a modern health resort that offers an sophisticated array of specialized treatments against diseases. Fatima -One of the most important Marian centres of pilgrimage in the catholic world. Basilica and Capelinha das Aparições.The famous sanctuary of Fátima attracts thousands of pilgrims each year, specially on the 13th of May and the 13th of October, to celebrate the appearances of the Virgin Mary to three shepherd children. Figueira de Castelo Rodrigo - It is worth admiring the walls with its round turrets (15th to 17th centuries), the ruins of the Cristóvão de Moura Palace (it was burnt down during the Restoration of the Independence in 1640, when the population rose against the traitor and sympathizer of the Spanish king), the pillory and several fine Manueline windows at the Rua da Cadeia, and also the ruined Monastery and Church of St. Mary of Aguiar (13th to 17th centuries). Figueira da Foz - Summer resort on the mouth of the Mondego river (long, sandy beaches and water sports facilities). Special mention to the mother-church, Casa do Paço (17th century), Municipal Museum, Santa Catarina Fortress (16th century) and Pelourinho. Fundão - An important town in the region for commercial and industrial reasons, has fine churches and splendid mansions and stately houses, namely from the 17th and 18th centuries, when it knew great prosperity due to the tin mines and a thriving textile industry. It is worth visiting the Mother Church, the chapels of St. Anthony, of Our Lady of Light and of St. Francis, all from the 16th century, the Archaeological Museum and the Town Hall. 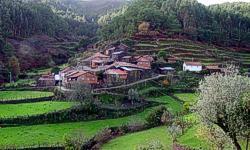 Góis - The town of Góis, more than eight centuries old, lies in a narrow and deep valley, between the mountains of Carvalhal and of Rabadão. Besides the Renaissance mother church of Santa Maria Maior, it is worth admiring the Manueline Bridge with its three arches, the Castle, and the panels on the ceiling of the Paços do Concelho, representing fantasy and biblical figures; in the environs, various chapels offer dazzling views, such as the chapel of Santo António das Neves, in the middle of the Serra da Lousã and which is still within the county´s limits. Guarda - Standing on a bleak hill on the northeast flank of the Serra da Estrela mountainous ridge, Guarda was founded in 1197 and is Portugal's highest city (at 1056 metres or 3465 feet). Its name cames from its role as a guard to the frontier and it still keeps a rather forbidding and austere aspect. The Gothic cathedral, ressembling a fortress, began to be built in 1390 and was only concluded in 1540; the graceful interior contrasts with the imposing façade and the retable exhibits 100 carved figures by Jean de Rouen. Another religious monument worth visiting is the 17th-century Miserichord Church with its Baroque altars and pulpits. 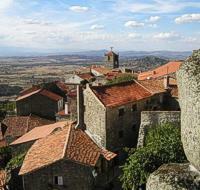 Idanha-a-Velha - a small picturesque village some 50km/31miles northeast of Castelo Branco boasts an illustrious past. It is said to have been the birthplace of a Visigothic king, with its own bishops at the cathedral which was restored in the beginning of the 16th century but still preserves inscribed and sculpted Roman stones. It is worth admiring the Renaissance Mother Church, the 17th-century pillory and the ruined Templar's Tower. Leiria - A striking royal castle hangs above the graceful town of Leiria. Other important monuments: the Cathedral (16th-17th centuries, with an archaeology museum on its premises), São Pedro Church (Romanesque), Nossa Senhora da Pena Church (Gothic), Nossa Senhora da Encarnação Sanctuary (16th century). Lousã - a charming town due to the beauty of the landscape in which the plains join the mountainous ridge, and to its magnificent 18th-century houses (such as the Palácio dos Salazares). It is worth admiring the three shrines which form the Santuário da Nossa Senhora da Piedade (Sanctuary of Our Lady of Piety), near the Castle of Arouce, all surrounded by hills, olive groves and dense vegetation. 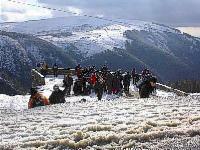 Manteigas - At the heart of the mountainous range of Serra da Estrela, the small town of Manteigas, besides its textile industry, has focused its attention on tourism, as the "Star Mountain" is becoming increasingly popular as a holiday destination. Near Manteigas, Pousada de São Lourenço is the ideal place for visitors in search of a secluded retreat, besides offering them a chance to taste the region´s typical dishes, such as red bean and cabbage soup and trout in onion marinade. Mira - Has an interesting parish church from 1690 with a fine painted ceiling and decorated with glazed tiles. Praia de Mira nestles between the sand dunes and the Atlantic, on one side, and the tranquil lagoon of Barrinha (good for boating, swimming and water sports) on the other, and is proud of its typical fishing boats, painted with bright colours and with a high prow. Monsanto - Voted in 1938 the "most Portuguese village in Portugal" it nestles on the slope of a steep hill (the Monsanto head, known in Latin as Mons Sanctus), which rises abruptly above the prairy and reaches a height of 758 meters (2486 feet). King Afonso Henriques conquered the hill and donated the village to the Templars in 1165; the Grand-Master Gualdim Pais had the built and the same king gave the village its first charter in 1174. In 1510, King Manuel granted Monsanto a new charter and proclaimed it a town. The most typical aspect of Monsanto is the fact that the village developed around impressively big and miraculously balanced granitic boulders. Montemor-o-Velho -The attractive and historic town of Montemor-o-Velho rises out of fields of rice and maize, crowned by the crennellated 14th-century castle (previously a Moorish stronghold), one of the largest and finest of Portugal. The church of Santa Maria da Alcáçova stands within its walls: founded in 1090, it was restored in the 15th century and exhibits naves and arches in the Manueline style. The church and cloister of Nossa Senhora dos Anjos has a 17th-century façade and a rich interior with Manueline and Renaissance influences; it lodges the tomb of the explorer Diogo de Azambuja (Columbus is said to have sailed with him along the West African coast), also in the Manueline style. 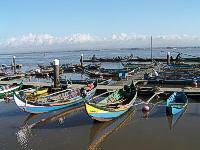 Murtosa - Integrated in a region characterized by its close ties to the sea and to the great salt-water lagoon known as the "Ria", it is not surprising that the county´s main activities have been fishing. However, visitors are mostly attracted by its beaches, namely by the beautiful beach of Torreira, a fishermen´s village now proud of its restaurants, hotel units and two camping-parks, but still preserving its traditional houses with sheds, typical lagoon boats and the arte de xávega (the "art of fishing"). Nazaré - A stunning beach, typical fishermen houses and steep cliffs over a bright blue sea have made this fishing town become a popular holiday resort, mainly due to its traditional character. Fishermen can still be seen wearing checkered shirts and black trousers, and their wives seven layers of petticoats: you can watch them mending nets or drying fish on the beach. Near Nazaré lies the beautiful beach of São Martinho do Porto: its enclosed and safe bay makes it a favourite holiday destination, specially for families with children. Oliveira do Hospital - As its name indicates, this land belonged once to the Knights Hospitallers and was given to them in 1120 by the mother of Afonso Henriques, Portugal´s first king. 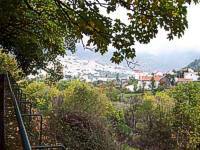 The town is situated on a gentle slope crossed by the river of Cavalos and from where the snow-capped heights of Serra da Estrela ("Star Mountain", the highest in Portugal) can already be seen. It is worth visiting the Mother Church, the 18th-century Santana Chapel and the pillory. Ourém - This medieval village is very connected with all the history of Portugal. It was on the XV century with Alphonse, IV count of Ourém that the village became more important. In this nice place we can see lots of monuments: the original Castle of the 17th century, the Mercy Church from the 15th century, the Gothic Fountain, the Pillory . Ovar - It is an unusual town where some of the women still wear black pork-pie hats and walk around the streets barefoot. What to see. Situated on top of a hill, the large 17th century parish church sports impressive twin towers and spectacular views. In the centre, the pilgrimage chapel of Calvario is notable for its strange life-size 18th century sculptures. Also worth seeing are the towns two impressive old fountains and nearby house museum which commemorates the life of Júlio Dinis, a popular Portuguese novelist who lived there in the 19th century. Penacamor - A frontier town fought over by Romans, Visigoths and Moors, it was fortified by the Master of the Templar Knights, Gualdim Pais, in the 12th century. The walls of the castle can still be seen rising over the quiet streets of this little town, proud of its Miserichord Church (16th century, with a fine Manueline portal topped by armillary spheres). Other interesting monuments are the Mother Church, the pillory and the restored castle keep. 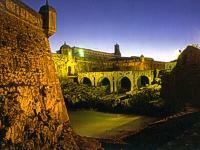 Peniche - Partly enclosed by 16th-century walls, Peniche is almost entirely dependent on the sea. Its fishing industry and port, fishermen, trawlers and seagulls mark the atmosphere of this town, with its whitewashed houses and narrow streets. No wonder it has excellent fish restaurants, also specializing in seafood and shellfish dishes, and that it affords the visitor facilities for deep-sea fishing. Tourists are also curious to visit the Fortaleza, a 16th-century fortress, overlooking the sea, that was used as a prison during the repressive former regime that ended in 1974. 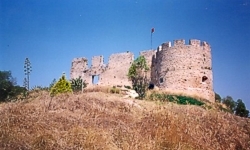 Pinhal - the town of Pinhel was a center of a network of fortresses, king Dinis transformed it into an impressive citadel in the early 14th century. Much of the primitive walls can still be seen today, as well as the two grand quadrangular towers (one exhibiting a beautiful Manueline window) which remain of the castle. It is worth visiting the church of St. Mary of the Castle, with a remarkable sculpture depicting the "Holy Mothers", and the fourteen paintings at the main chapel dating from the 17th century. Pombal - founded in the 12th century by the Knights Templar and is dominated by a stately castle which belonged to the Master of the Templars, Gualdim Pais. According to legend, the name of Pombal (dovecote) was given to the town when the king saw many pigeons on the castle´s battlements. Other interesting sites are the Church of Our Lady of Cardal (built in 1703), the Old Clock Tower (15th century), the Chapel of Our Lady of Piety (1551) and the 17th-century manor-house of the Condes de Castelo Melhor. Proença-a-Nova - A small town of great antiquity, with a precious green rein of the pines that wind around the charming valleys full of olive-trees and corn-fields. Land of enormous natural possibilities, where the cliffs stand tall and suffocate the Ocreza rivulet, the fluvial beaches and the marvellous landscapes of the cherry-trees in flower. 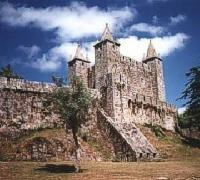 Sabugal - Being a border region, thus suffering continuous attacks and sieges, it is not surprising that both Spanish and Portuguese kings built numerous strongholds here, and the county of Sabugal alone counts five castles: Alfaiates, Vilar Maior, Sabugal, Vila do Touro e Sortelha. 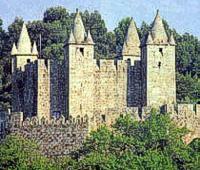 Sabugal has its own castle with an unusual five-sided keep and imponent walls with towers. Santa Maria da Feira - Owes its name to a long tradition: already in 1117, a document made reference to the "Land of Saint Mary, a place people call Fair", alluding to the fairs and markets held at the bottom of the hill where the castle rises and where peasants could find grain, agricultural implements, tools, cloth and all that was necessary for their daily existence. The enchanting castle proudly exhibits its pinnacles and crenels, crowning this town of winding streets with 18th and 19th-centuries houses, the 18th-century ornamental fountain at the Praça Velha (Old Square) and the Miserichord Church, from the same period. São Pedro do Sul - Nested in the green valley of Lafões and framed by the mountains of Arada, Gralheira and São Macário, São Pedro do Sul is particularly known for its thermal spa, with mineral and medicinal waters that were already used by the Romans for their curing powers. Nowadays, the thermal spa of São Pedro do Sul has modern equipment and several leisure facilities, being one of the most important of Portugal, with an average of 25 thousand visitors every year. Seia - Several monuments, namely manor-houses, confirm its important role in the past. It is worth admiring the Romanic Chapel of St. Peter, rebuilt in the 16th century, the Mother Church (with stunning views over the surrounding landscape) and the 18th-century Miserichord Church. Torres Vedras - Nowadays a lively center with a fine commerce, the history of Torres Vedras made it known for the fortified defenses that the duke of Wellington built in order to stop the troops of Napoleon during the French invasion (they became known as the Lines of Torres). Rising above the town, the walls of the 13th century castle have been restored and enclose a pleasant garden and the church of Santa Maria do Castelo. Trancosa - The town was given as a wedding gift by king Dinis to his bride, Isabel, in 1283, and it was also this monarch who built the impressive walls that encircle it. It is worth visiting the Castle, with five solid turrets and keep, the pillory and the church of Nossa Senhora da Fresta. Vila Velha de Rodão - A small town with some sites of interest, such as the Mother Church, the chapels of Our Lady of the Castle and of Our Lady of Alagada, the pillory and the ruins of the castle. Also worth visiting are the archaeological sites of Enxarrique, Famaco and Vilas Ruivas as this is a region rich in Pre-historic findings. Viseu - Visitors can admire the 15th-century Porta do Soar de Cima, a remnant of the original walls, the graceful Rococo façade of the Miserichord Church (18th century), or the two-towered 17th-century cathedral. The enthralling old town displays a labyrinth of narrow streets where one discovers Manueline windows, old tinsmiths and curious little shops. Other places of interest Abrantes, Arouca (Monastery), Belmonte (Pousada), Condeixa-a-Nova (Pousada), Curia (spa), llhavo, Mealhada, Monsanto, Porto de Mós, Proença-a-Velha, Vila de Rei, Vila Pouca da Beira (Pousada). Fresh fish and crustaceans enhance all the regional dishes, like the popular "caldeirada" but you can also enjoy the eel "caldeirada" of Aveiro. You can also try the relishing meat dishes, like the grilled pork kebab made in Barraida, the kid "chanfana" from Coimbra. 'trouxas de ovos" from Caldas da Rainha. Not to mention the Aveiro "ovos moles" or the "S. Bernardo" bread, the almond paste from Arouca, the "brisas", the Aljuborrota pie, the flavourful beans paste cakes from Torres Vedras ("pastéis de feijão") . As for as wines are concerned, you will have to hesitate between the various liquor wines, the sparkling Bairrada wines, the buçaco wines and the, wines from Cantanhede and Rio Maior.